• the possible exposure of sensitive environmental compartments to bioavailable species of metals. In earlier studies of urban metal flows, the main focus was on analyses of flows of solid waste, storm water and waste-water. (Davidsson, 1978; Malmqvist, 1983). 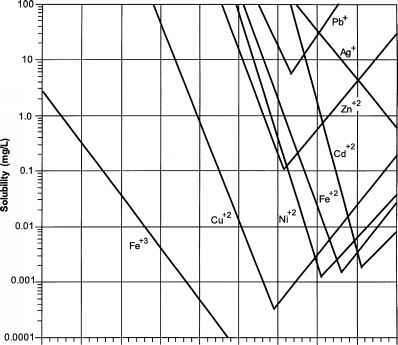 In later years, calculations of mass balances of metals in society have usually been initiated by authorities, either responsible for the sustainable use of materials in connection with sound management of natural resources or dealing with assessments of the environmental and health impacts of metals used in various applications. In order to assess the impacts of urban metal flows on society's metal recycling systems and on the environment, a five-year research programme was launched in 1994 by the Swedish Environmental Protection Agency (SEPA, 1994) under the name of "Metals in the Urban and Forest Environment". The system boundaries of the study were the administrative border of Stockholm City, representing an area of 190 km2 with approximately 700,000 inhabitants. The study comprised flow analyses for the year 1995 of seven metals, in addition to the four metals (chromium, copper, nickel and zinc) treated in this report, also cadmium, lead and mercury were examined. Industrial handling of metals was quite extensive in Stockholm in the beginning of the 20th century. At that time, the city had a diversified industry consisting of e.g. tanneries, foundries, battery and rubber factories, impregnation and galvanisation plants, gas, dye and printing works (Bergbäck et al., 2001) - all with handling of metals and, consequently, with considerable metal emissions to the surrounding environment. Today, metal-emitting industries have almost disappeared from the city of Stockholm, the economy of which is now dominated by the service, trade and financial sectors, in addition to activities related to the central administration of the country. The city is located on the very short river, Norrström, connecting Lake Mälaren (Sweden's third largest lake) with the Baltic Sea.